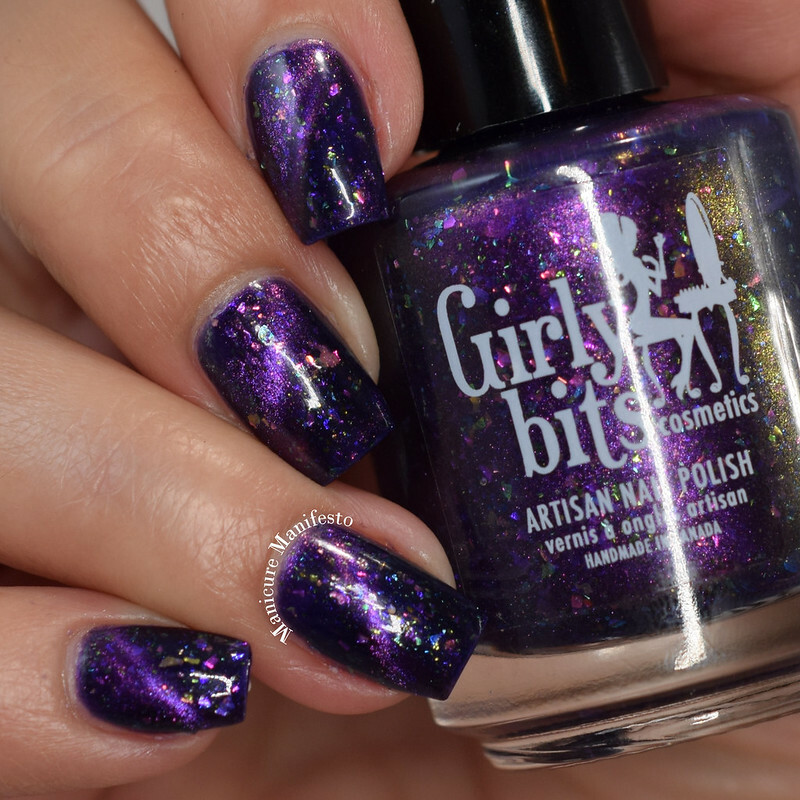 Today I have Girly Bits Cosmetics' contribution to Polish Pickup's August release to share with you. 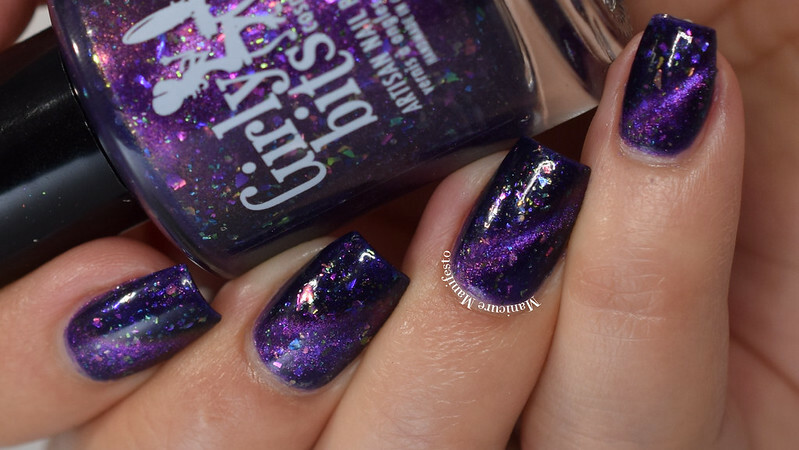 This month's theme is musicals and Girly Bits chose Fame as their inspiration. Let's take a look at swatches. 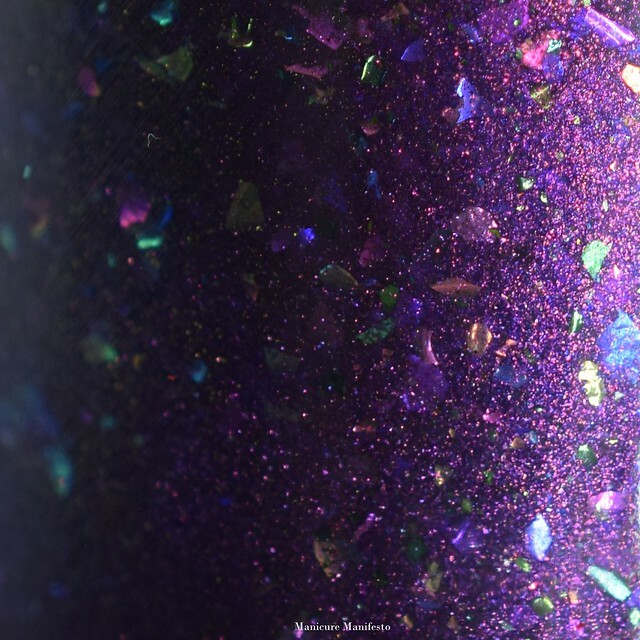 Remember My Name features a grape purple jelly base with a purple to pink shifting magnetic shimmer and a variety of metallic flakies. 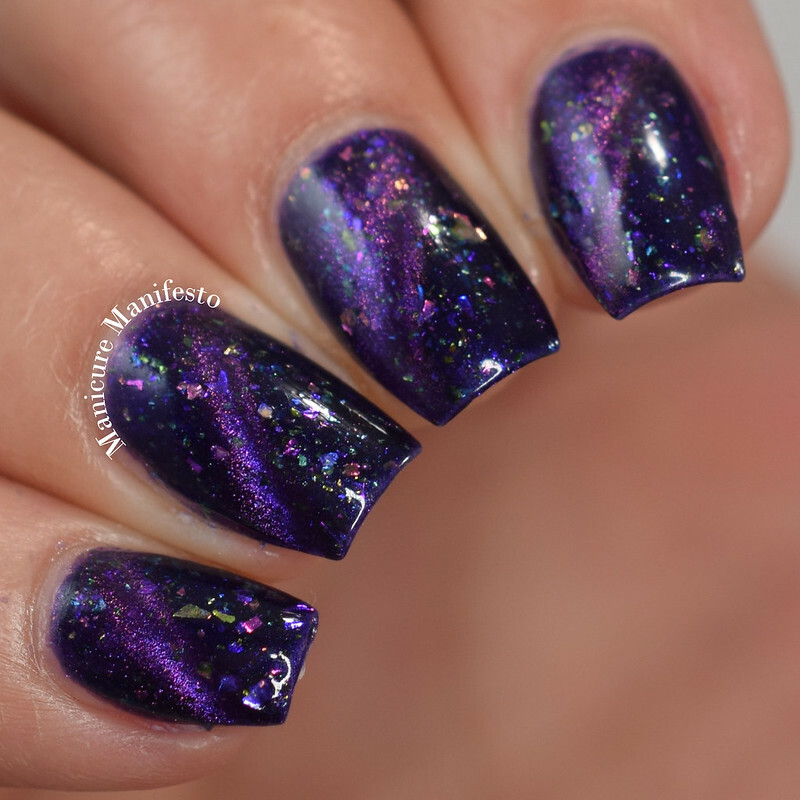 The formula was easy to work with taking two coats for full coverage. I applied the first coats normally, and then used a bar magnet after applying the second coat while it was still wet. I also used the bar magnet after applying top coat. 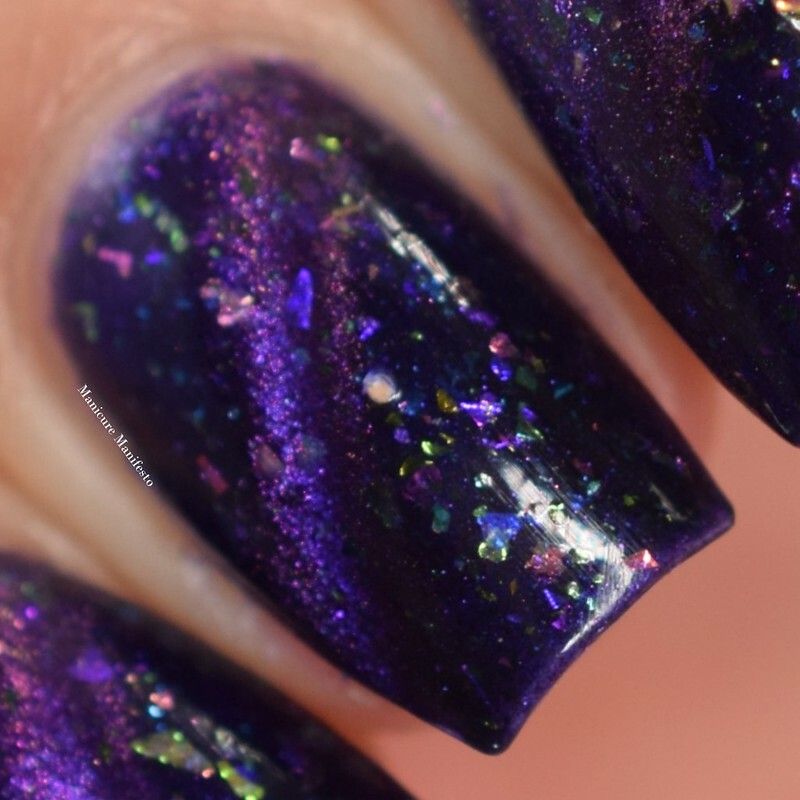 Photos show two coats of Remember My Name with one coat of Girly Bits Cosmetics Glitter Glaze top coat in daylight spectrum lighting. Remember My Name will be available for $13USD with no cap on the Polish Pickup website for four days beginning at 11AM EDT on August 3rd, 2018.